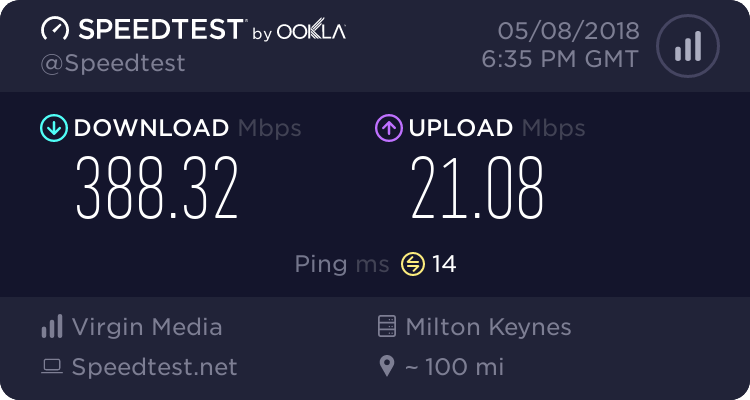 9 days ago we moved from VDSL2 TalkTalk 40/10 to the 80/20 one. Anyone know why G.INP would have disappeared and if there's anything we can do about it? Is it still early days for the DLM? I think a new provision such as this will always force a line reset with DLM. If your line is stable and ok for the next couple of weeks, I'd expect G.INP to come back. AAISP FTTC 80/20. BT Infinity FTTC 80/20. ECI Cab. Your line looks similar now to what mine did before G.INP and xdB profiles became active. I suspect you'll get close to 80MBit sync when all that eventually happens....it took around 2 months for mine! Thanks all. You're both right. I spoke to soon, 24hrs later we have G.INP and 12Mbps extra. Yay! You should get the full 80Mbps once XdB kicks in.